Overwatch’s new Retribution brawl is great and all, but there’s been one little problem at the end. Just like Overwatch players have a hard time getting on the damn payload, some Overwatch Retribution players—let’s be real, it’s always the Genji—seemed adverse to the mode’s drop ship. The whole mission is clearing the way for a drop ship to pick up the Blackwatch crew after things go bad, but some players forget that at the end of the mission. While three allied teammates scream at their fourth from the drop ship—get on the damn ship—the fourth overextends and gets killed. The mission ends with a loss. Thankfully, the fine folks at Blizzard are changing that unfortunate occurrence. “The evacuation drop ship will now leave incapacitated players behind to complete the mission,” according to today’s patch notes. That’s right—if most of the players are on the drop ship, it’ll leave and the team will get a victory. Nice knowing ya, Genji. Enjoy your stay in Venice. 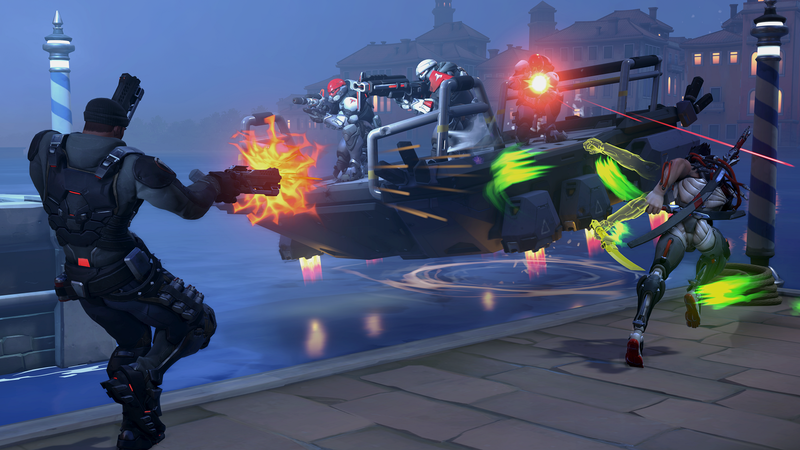 Alongside this important adjustment, Blizzard also fixed some bugs within the Retribution and Uprising brawls. Talon units will now attack players that have already boarded the drop ship, and will no longer count Junkrat as two heroes when boarding the evacuation ship and using RIP-Tire. Other bugs that were fixed include not counting players who died in the ship or players in the corners of the vehicle. Overwatch Archives and the new Retribution brawl will be around until April 30. Retribution brings a team of four Blackwatch heroes to Venice in search of a Talon leader. When things go bad, the team has to bust through a city of Talon agents to make it back home. There’s also a bunch of new skins, sprays, and icons to unlock, including the ones from last year’s Uprising event.